It’s because we understand and appreciate the value market research can bring to organizations not only to better understand their customers, but to fuel strategic business decisions. As research experts, we will take the most complex strategic questions and, through custom primary qualitative and qual-to-quant approaches, conduct smart and focused research to provide concise and easily digestible answers that bring the voice of your customers to life. With the innate ability to tell a great story, enough curiosity to kill a cat, and a willingness to take risks (including, but not limited to, referencing “killing a cat” in her bio’s opening statement), Marissa is a born researcher. Her research career began more than 16 years ago with a focus on the execution and strategy of quantitative research. With a solid foundation in survey design, data collection, and analysis, and a passion for research, her transition into qualitative research and moderating was organic and seamless. 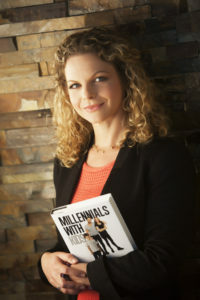 Having talked to thousands and thousands of consumers through focus groups, in-depth interviews, and shopalongs over the years, Marissa has relished the opportunity to tell the story of countless consumers, guiding her clients with these insights.